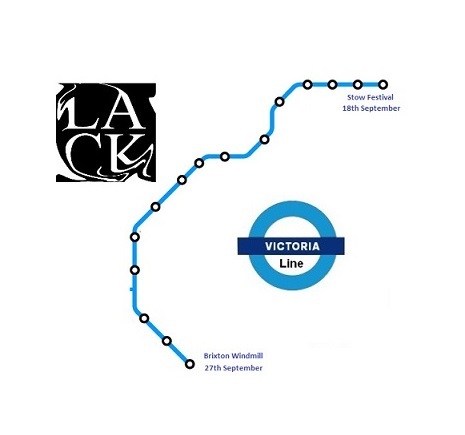 If you get updates via the LACK Facebook page or Twitter account then you will no doubt have noticed that the three amigos have a couple of special shows coming up at either end of London’s Victoria Line. 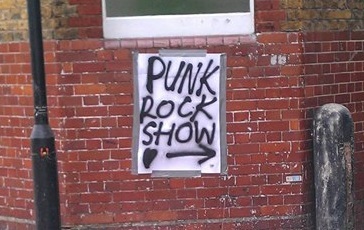 September sees LACK appearing at two amazing events Stow Festival in Walthamstow and the final Punk BBQ of the year which is being held at Brixton’s famous Windmill (RIP Roof Dog). Every year sees Walthamstow taken over by live music for four glorious days and this year is the biggest yet with around 20 venues and over 100 acts! The LACK lads are overjoyed to be have been invited to play and will be joining four great bands on the evening of Friday 18th September. The night at Pulse Studios is being headlined by the fabulous Brain Washington who kinda sound like what would’ve happened had Sonic Youth and Mudhoney joined forces in the 60s. Also on the bill are Them Fools on the Hill, Gunner Who, and The Unmentionables. You know it’s going to be a top night especially as all those shades of rock are yours for £3! The brainchild of Alex, leader of the amazing London Punk outfit Wonk Unit, these gatherings offer the best of both worlds – al fresco cooking and raucous live music. The Brixton Windmill has been home of the BBQ get togethers which are held on the last Sunday of the month, September 27th being the final bash of the year so its likely to be a big send off. The event kicks off at 3pm with the BBQ being lit and alcohol being consumed and food being available from 4pm. Allowing time for your chargrilled grub to settle, bands start at 5pm with a ‘sensible’ finishing time so that we can all be ready for the week ahead. More details about these shows, including links and clips of the other bands, can be found over on the Gig page.